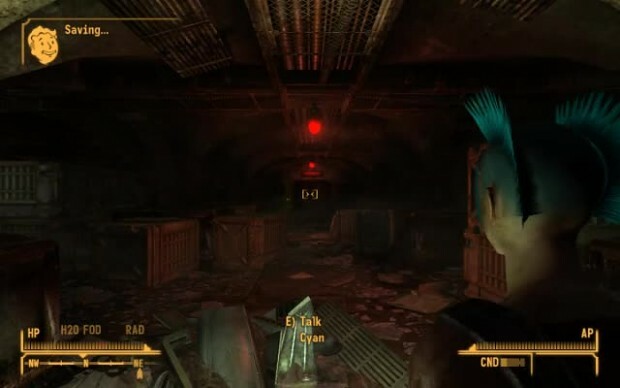 A full sized, 1000 person ruined vault deep beneath New Vegas. Haha awesome idea by the way. I was wondering how you'd quickly navigate this massive series of underground tubes. The vanilla game has really lame elevators. They just fake the movement by having everything move around you. These elevators actually move. Which is kind of fun, and opens up some gameplay possibilities. Plus, thousands of people have always wondered what Fallout's vaults' elevators might have looked like. Well, now they know! At least SpeedyB64s and my interpretations. This is just raw footage of the Vault 24 lower elevator in action. It supports up to 8 NPCs. It actually moves, rather than giving the illusion of movement found in the vanilla elevators. Thanks to llamaRCA, adriant1978 and several other mod authors for their companions which helped greatly in testing the elevator.